Throughout the past century, we have seen the emergence of a large number of multifactorial diseases, including inflammatory, autoimmune, metabolic, neoplastic and neurodegenerative diseases, many of which have been recently associated with intestinal dysbiosis — that is, compositional and functional alterations of the gut microbiome. 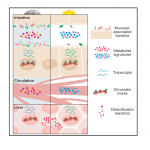 In linking the pathogenesis of common diseases to dysbiosis, the microbiome field is challenged to decipher the mechanisms involved in the de novo generation and the persistence of dysbiotic microbiome configurations, and to differentiate causal host–microbiome associations from secondary microbial changes that accompany disease course. 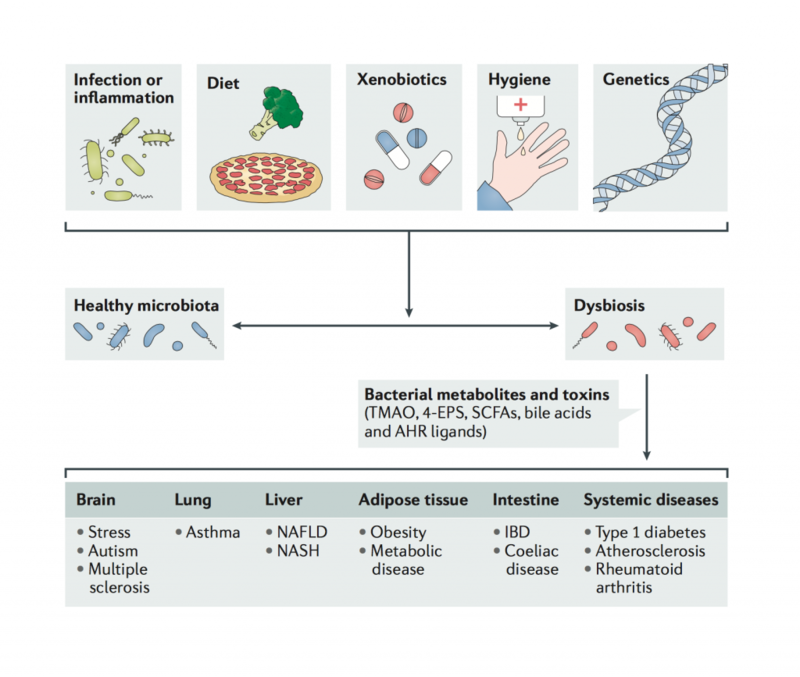 In this Review, we categorize dysbiosis in conceptual terms and provide an overview of immunological associations; the causes and consequences of bacterial dysbiosis, and their involvement in the molecular aetiology of common diseases; and implications for the rational design of new therapeutic approaches. A molecular- level understanding of the origins of dysbiosis, its endogenous and environmental regulatory processes, and its downstream effects may enable us to develop microbiome-targeting therapies for a multitude of common immune-mediated diseases. 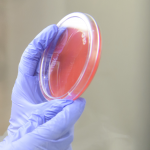 We are constantly looking for talented scientists to join our team. Please take a look at our open positions.